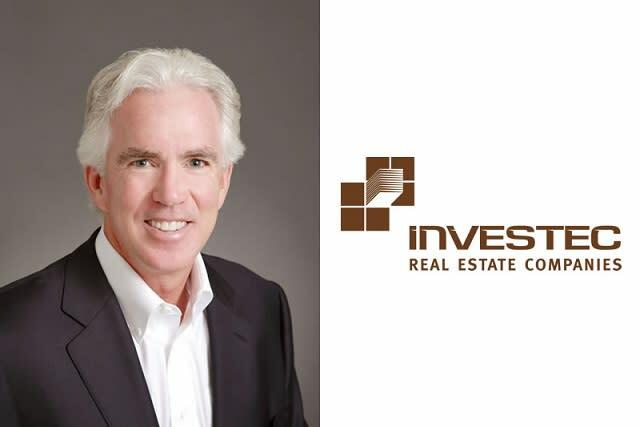 SANTA BARBARA, CA / ACCESSWIRE / October 19, 2016 / Founding principal and president of Investec Real Estate Companies, Kenny Slaught has boldly led his investment, management, and development firm through several market cycles with great success. As a key figure in the Southern California residential, commercial and industrial property scenes for more than thirty years, he has weathered unexpected variance and bested trends. With his wide-ranging experience and understanding of the acquisitions that shape the state he has called home since childhood, Slaught shares his insights about the unique nuances of the California market; these distinctions include the ability to recognize purchase opportunities and pitfalls, and astute knowledge of the myriad extraneous influences that affect the Golden State. With a white-hot housing market, many West Coast buyers are finding that they need to pay excessively high prices for older, less fashionable homes. Kenny Slaught notes that costs have been steadily climbing since 2008, and common reference, the Standard & Poor's Case-Shiller home price index, reveals that Los Angeles home prices rose to their highest point during April of this year since October 2007. Having moved beyond mere recession recovery, Southern California's larger metropolitan areas are closing in on their former peaks. Slaught says the turnaround can be attributed to a number of factors, which include interest rates, job growth and supply and demand. As current 30-year, fixed-rate mortgages are hovering around 3.5% or less, these enticing numbers nearing 3.31 percent (the record low hit in November 2012) are pushing many toward buying. These historically low rates, coupled with strong employment numbers, such as a 2.4% gain in Los Angeles County and a 3.5% rise in Orange County, makes it clear just why values have appreciated in an extraordinarily fast-paced manner. And although home prices vary considerably statewide, the inflated asking price of higher-end homes outpaces all other states with the exception of Hawaii. The feverish demand for housing cannot currently be met by the slim supply available, with many first-timers forced to opt for condominium-style units: obtainable and within a more modest price range. Other factors influencing the current situation that are particularly Californian in nature can be traced back to a general scarcity of land in desirable locations. Undeveloped land costs are prohibitively high, especially within the Los Angeles and San Francisco areas. Kenny Slaught points to regular delays in construction of new project, which result in many owners choosing to stay put and renovate, as Proposition 13, the 1978 amendment to the state's constitution, has made relocating a daunting choice. Though the law states that future property tax increases are capped at 2% based on 1975 assessments, the exorbitant exception takes place when a sale is executed, and a property is reassessed based on its current sale price. Ultimately, yearly totals are framed by purchase figures that vary monthly, as demand in California shifts seasonally (with most homes moved in June and a small increase at year's end). Also affecting yearly totals are asking prices, interest rates, consumer confidence, negative equity status, quantity and quality of homebuyer jobs, disposable income, saving rates, and elements like major foreign investments. Since founding Investec Real Estate Companies in 1983, Kenneth Slaught has led the firm through the execution of more than $1 billion in property transactions. As president of the most successful real estate management enterprise in Santa Barbara, he has been primarily responsible for establishing the company's strategies and policies, determining its asset class allocations and overseeing its investment decisions. Mr. Slaught is a member of the California Association of Realtors, the Building Industry Association of Southern California, and the Santa Barbara Rental Property Association; he is also affiliated with the Institute of Real Estate Management and the Urban Land Institute. The long-time resident of Santa Barbara is actively involved with a wide range of philanthropic organizations and remains devoted to strengthening all aspects of his community.